The Kodak ESP-5250 is an all-in-one multifunction printer that emphasizes graphics output while also providing scanner and copier functionality. Given its low cost and entry point, it is clearly a consumer product. However, several other consumer-level photo printers offer similar functionality at the same price with more robust feature sets and better performance. The printer measures 16.6" by 11.8" by 6.9" and weighs 14 lbs, making it extremely lightweight and easily transported. Its footprint is fairly average for models like this one, and it will likely sit easily alongside other consumer equipment like towers and monitors on a desk or table without much inconvenience. The printer produces borderless 4" by 6" photos in 29 seconds or less, as well as standard-sized documents at rates of 30 pages per minute in black and 29 pages per minute in color. The printer produces documents at a maximum resolution of 9600 dpi, consistent with other high resolution color photo printers. The printer can process standard-sized borderless photos as 8.5" by 14", but also 8.5" by 11 (US letter) and 210 by 297 mm (A4). 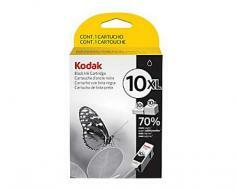 The printer has a maximum capacity of 100 sheets or 20 sheets of photo paper. The built-in scanner supports optical scanning at a maximum resolution of 1200 DPI at 24-bit. It supports scanning of documents and photos as large as 8.5" by 11.7" and includes optical character recognition for documents scanned using Kodak's included software for Windows. The built-in copier produces copies at speeds of 30 or 29 pages per minute in black and color, respectively. It includes support for one-touch color copies, one-button copying, and scaling between 20% and 400% and the ability to produce up to 99 copies at a time. 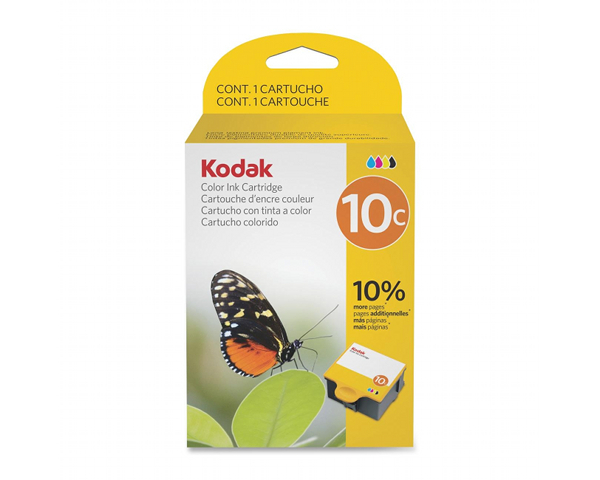 The printer includes support for a number of memory cards, with slots for Secure Digital, Secure Digital High Capacity, MINI SD, Multimedia Card, Memory Stick, and Memory Stick Pro media. It also includes a 2.4" LCD to make printing from memory cards and on-printer adjustments easier to perform. The printer includes a USB 2.0 port but also 802.11 b/g wireless support, making it possible to print from any wireless-enabled device including the iPhone, iPod touch, and iPad. Wired Ethernet support is not available. The printer supports Windows XP (Service Pack 2), Vista, and 7, but also Mac OS X 10.4.8 and newer (for both PowerPC and Intel-based Macs). The printer's ink, unlike several models like it, is divided into two cartridges, just black and color. Many printers around this price point offer both photo and matte black ink as well as color ink separated into individual colors, making it only necessary to replace individual colors when supplies run low or are exhausted. This can potentially lead to both higher costs for users who print a single color more than any other. Additionally, the printer will not print in black when its color cartridge is empty or missing. A USB cable is not included with the printer, like it isn't with most printers. This isn't so much a con as it is an inconvenience, but it is worth noting. The printer does not include a number of convenient features designed to make the printing experience more efficient that newer models only slightly more expensive than this one offer, such as automatic full duplex printing and a 30-50 sheet automatic document feeder for copying and scanning. Some users re port that the printer is prone to heavy paper jams, as well as the printer misfeeding different paper sizes and complaining of paper mismatches. I bought this printer because of the low cost of the replacement ink cartridges. I do not print photos but a lot of test and graphs but I needed the color capability. It needed a replacement print head after the second cartridge which means no savings at all. The print quality was good, while it worked. It is also slow and the software is not very flexible. I do not recommend this printer. 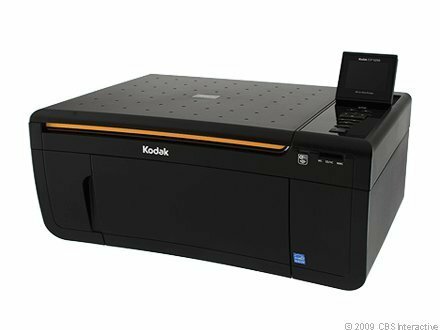 Review it: "Kodak ESP 5250 "
The printer consumes black and color ink split into black and color cartridges. Standard and high capacity inks are available for this model. Black inks are measured at 425 or 770 sheets per cartridge for its respective standard and high-capacity configurations, and color ink is available in 420-page configurations. Given the extremely low cost of this printer, Canon recoups some of this cost by charging a lot for ink cartridges that will run out considerably faster than cartridges with separate ink systems.